RV living has been increasing in popularity for a number of years, for the flexibility and versatility of having the comforts home on wheels. Long term and cross-country adventures are becoming even more common as people seek to find a better work/life balance. With modern wireless communication technologies spreading to even the most remote areas and the proliferation of tech jobs, it is no longer necessary for many people to be tied to a specific office or location. Working from the road is a dream that is within reach of many people these days. 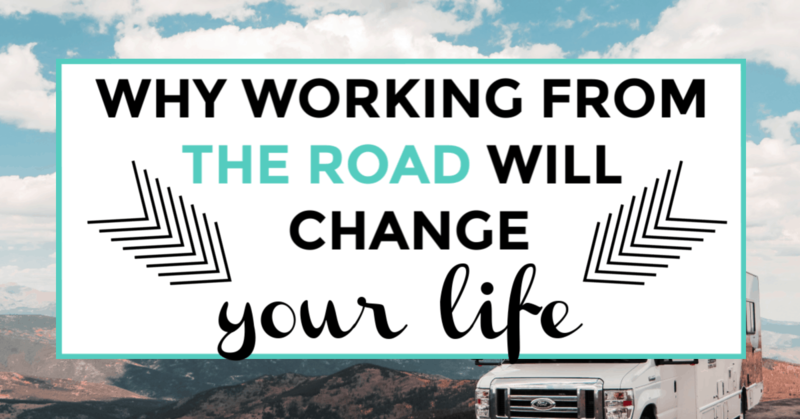 Whether that work is part of a permanent lifestyle change, is a transitional experiment or just income while on an extended working holiday, taking your work on the road will change your life. Pinnable image showing an RV at a campsite, under the stars with title text. Many people are tied to their place of residence by their job with little opportunity to change. 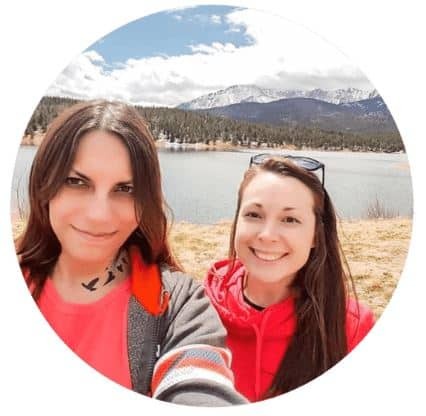 Quitting an office job or less than fulfilling position, picking up and leaving for a destination without confirmed employment at the other end is an exceptionally risky proposition that most people will not take on. This leads to people feeling stuck where they are. People in northern climates often get tired of the long, cold, dark winters. People in southern climates admire the cooler summers of the north. The bottom line is that many people wonder if they are living where they really should be. 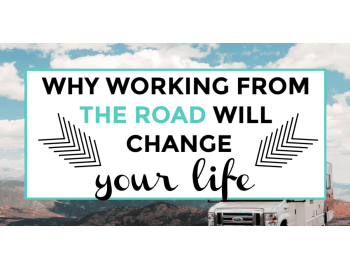 Working from the road will provide answers to these questions by allowing you to move to different locations and experience what life is like there. It allows you to do that without any firm commitments that will require to stay in one location for any length of time. You can also choose to be nomadic and travel based on the seasons. It also frees you to make the decision to stay as long as you would like, whether that be one night or the rest of your life. This can be extremely liberating. Some may look at it as a lack of stability that they need in their lives. 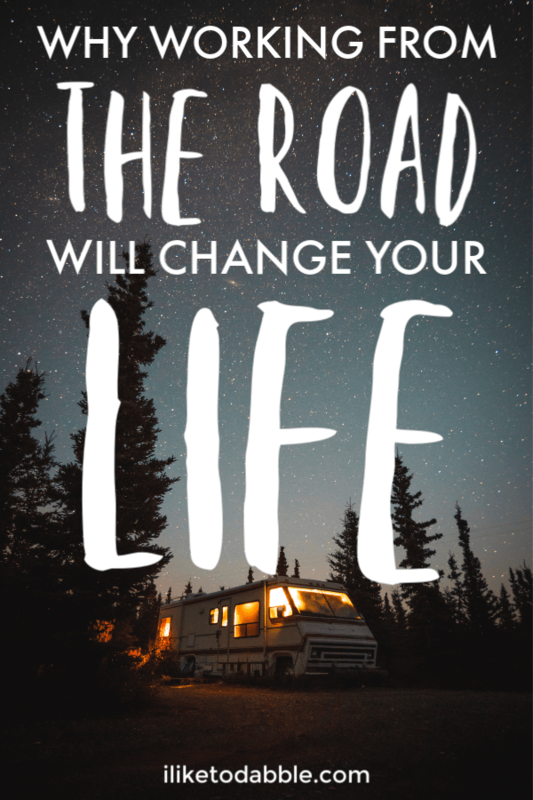 For some that may be true, but there is a great deal of stability in having the ability to choose your own destiny and the flexibility of adapting the RV lifestyle to fit your dreams and needs is unmatched. 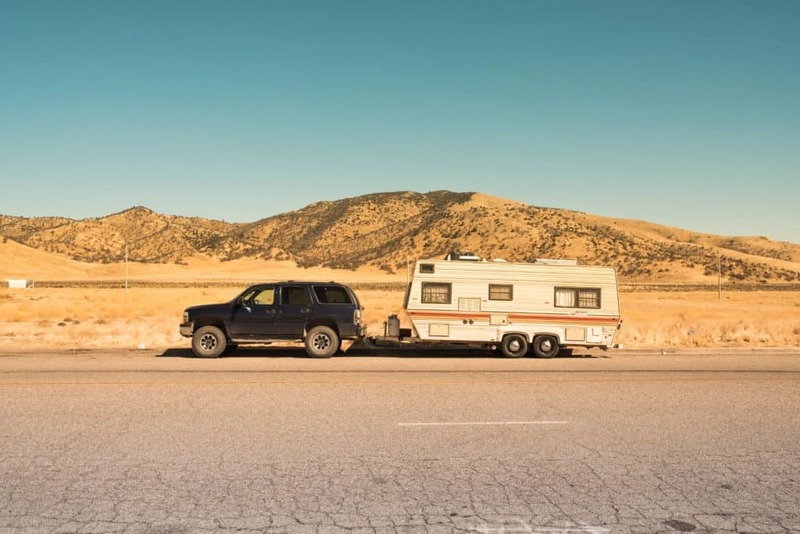 An image of a black car towing a camper on the side of the road. If you live in the same location for any length of time, you will eventually experience a point of mental stagnation. You interact with same people, with the same viewpoints and mindsets every day and you eventually become a reliable cog in the local machine of society. By working on the road, you can travel and experience different areas. Each destination offers different landscapes, cultures, and attractions to explore. Meeting new people that see things differently allows you to alter your perspective as well. This can be valuable for life in general, but for work as well, particularly if you work in the tech, PR or marketing business. Surrounding yourself with and getting to know a broader range of people can push your career in new and exciting directions. Some careers benefit more than others from living on the move. 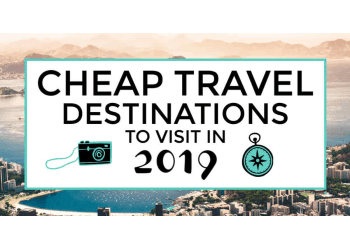 Jobs that require frequent travel, for example can be a lot less tiresome if you can bring your home on the road with you. Until recently the standard work protocol was to work until retirement, save money like crazy so you can live the good life in retirement. Do all those things now that you are putting off until after you turn 65. While there are many retired people in good enough shape to do many of the things you can do now, do you know that you will be one of them? Why take the risk that by the time you turn 65 or 70 or whatever the retirement age is when you get there (if you get there) if you don’t have to? Working on the road will allow you to do the things you love in your prime while you can enjoy them the most. Be it living near a beach, hiking in the mountains, mountain biking the deserts, or just spending more time with your kids, working from the road can let you do those things now. 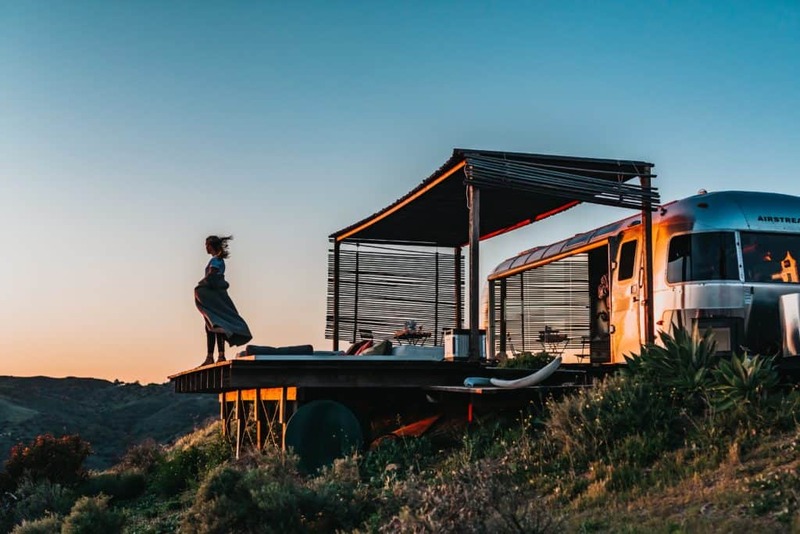 An image of a woman looking out over the hills next to her air stream. Working from the road allows you to get out and chase down opportunities that would have never come your way stuck in a stationary location. A stationary lifestyle will limit your opportunities to what is available in that specific area. In many cases that can be extremely limiting. By working on the road, you can travel to the job or take it with you depending on what works best for you. Seasonal or temporary location specific jobs can be a great way for many people to make a living and still have the freedom of traveling. Telecommuting jobs offer even more freedom and self employment/entrepreneurial work still more. For those not willing or wanting to go full time, taking your work with you will allow you to go on longer and more adventurous trips. 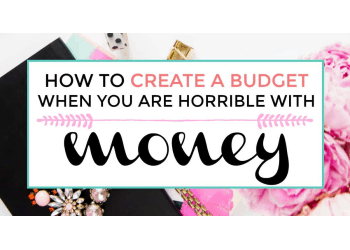 This can allow you to have most of the benefits outlined above while maintaining that home base should you need it. The RV lifestyle is a clutter free approach to life. There simply isn’t room for a lot of stuff. For most, this is very liberating. Not having to get out and mow the lawn, clean the gutters or spend time maintaining your stuff will allow you to be more focused not only on your work, but on you and your life in general. This may not seem significant, but even a small shift in focus or a few extra minutes a day dedicated to what you love to do can snowball into big gains for you and your career. Not only that but it allows for more freedom to have memories with experiences instead of stuff. Your life will be lower stress, more focused and much more enjoyable overall. Taking your job on the road has many benefits. The flexibility, control, and opportunities it provides combined with the exposure to new people, locations, thoughts and ideas provide life changing opportunities. 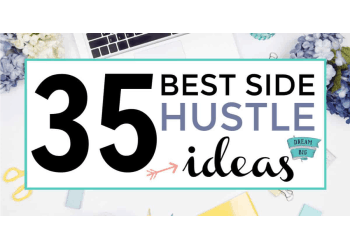 So, you can have the best of both worlds while you make a living and have lots of time to explore and live out your wildest dreams. 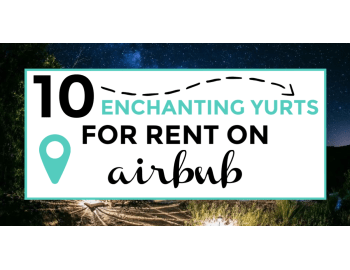 To find your perfect RV rental, browse Outdoorsy. They are the largest and must trusted RV rental marketplace and do everything they can to fit your specific needs. 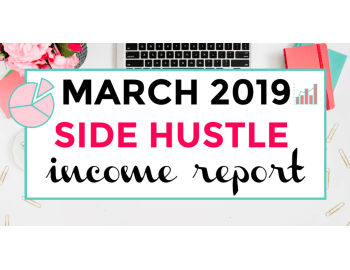 Do you currently work on the road or want to? Share your stories with us below in the comments!